In an interview with the Handelsblatt, the IMF Director suggested that the Fund is considering a compromise on the Greek issue whereby it would stay engaged in the program but would not provide further financing until debt relief measures are more clearly articulated. The compromise plan briefly outlined by the IMF MD seems to be in broad sync with the plan presented at the previous Eurogroup and rejected by the Greek side, and in this sense, it is not clear whether it will be enough to break the impasse. 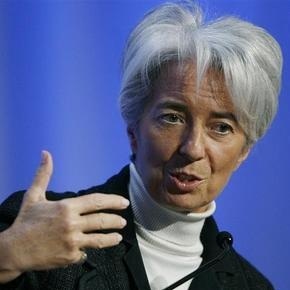 In any case, Ms. Lagarde suggests that this framework offers “a possibility for an agreement”.